Five moms share their stories and poems of motherhood in this small anthology. The women featured in this book are rebels in today’s birthing and parenting culture. In Anna’s article “Modern Motherhood: An Act of Rebellion,” she states that fully devoting one’s self to raising children goes against the cultural norms in the western world. This book reclaims the vocation of motherhood in all its forms. 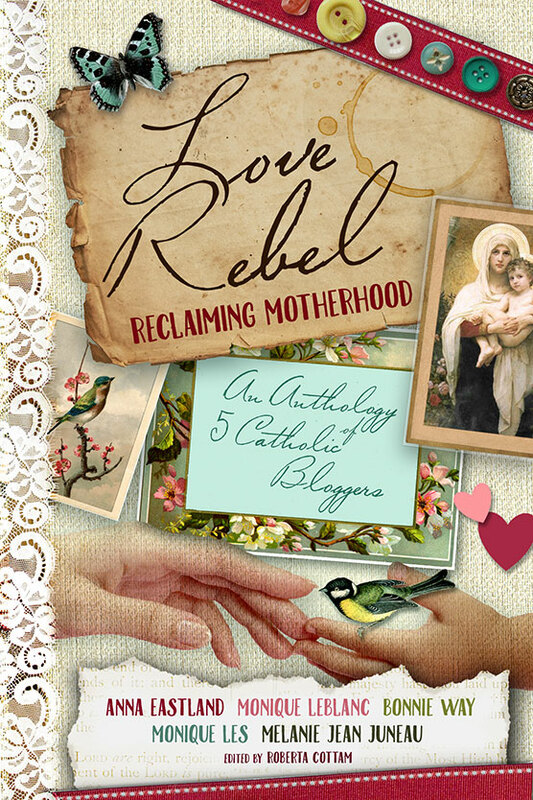 To read this book is to celebrate the rebellious acts of love in your life, and to celebrate five noteworthy bloggers from the Catholic community who have embarked on the greatest calling of their lives: motherhood. For a society seemingly obsessed with personal freedom, our culture likes to impose a lot of claims about what we can’t do. We are told many things are impossible, dangerous or — Heaven forbid — antiquated. Motherhood is one of these things. For me, this is very sad, because it shows me how deeply the women of our mothers’ generation have been convinced that their lives were a waste. It almost implies that after all the work of feminism to open up career options for women, it’s dysfunctional for us to want a family. That we are not living up to our mothers’ expectations of us as modern women if we choose to follow in their footsteps. So I encourage my fellow mothers to be rebels of love. Rebel against a culture which says that motherhood doesn’t matter… that raising children is a trivial mindless job, unfit for modern women. Rebel against the idea that serving yourself is the only way to happiness. Rebel against a culture which says that the gift of life is not worth giving. Bonnie Way is a mom and blogger with three daughters and another baby on the way. She and her husband have been married for seven years and she holds a B.A. in English and a B.A. in Writing. Anna Eastland is mom to six children (with one in heaven) and another on the way. She has a BA in English and Classical Studies and has been married for nine years. Monique Les has an MA in Criminology and has traveled extensively despite being born with profound hearing loss. She currently lives in Victoria, BC, with her husband and daughter. Melanie Jean Juneau is the mother of nine and grandmother of five. 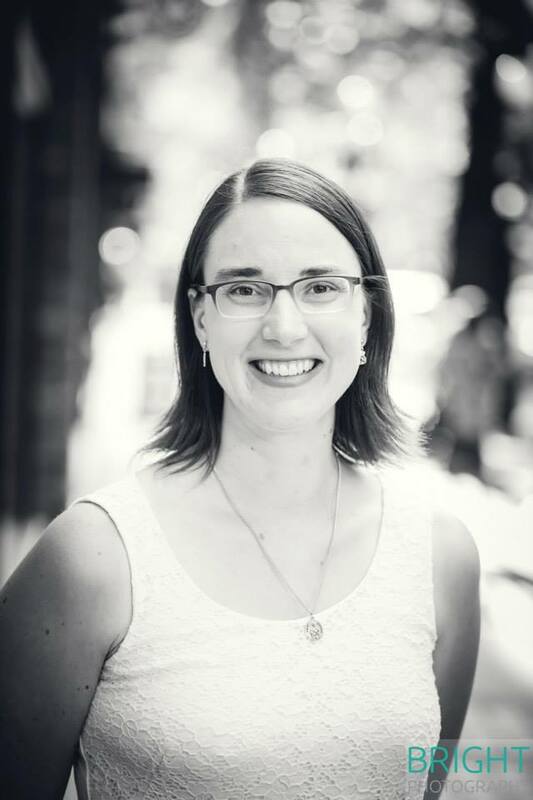 She is a weekly columnist at Catholic Mom and writes for several other magazines as well. Monique LeBlanc grew up in BC but now makes her home in Saskatchewan. She and her husband have five children and one in heaven. 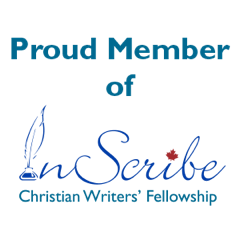 This entry was posted in Book Showcase and tagged An Anthology of 5 Catholic Bloggers, Anna Eastland, Bonnie Way, Love Rebel, Melanie Jean Juneau, Monique Leblanc, Monique Les, Reclaiming Motherhood. Bookmark the permalink. Very much appreciate your awesome review! Thanks for sharing our book and helping encourage women to be revels of love!